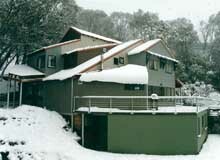 * Members must be financial to be able to make any bookings, Winter or Summer. 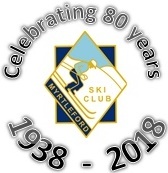 * Myrtleford Ski Club is a private club and, whilst guests are welcome, they must be introduced to the club by a member and guest bookings can only be made by current financial members. Bookings can only be made by phoning the Winter Bookings Officer until the Sunday prior to the start of the Victorian School Holidays, after that you need to contact the Lodge Manager/s. All bookings are to be paid within 14 days. If money is not received by then, booking will lapse and will need to be re-booked. Weekend bookings are Friday and Saturday nights - single night bookings are not possible on weekends but are available during the week. All children must have turned 4 years old before the date of the stay. i.e Melbourne Cup, Christmas, New Year, Australia Day, Labour Day, Easter. Bookings can only be made by contacting the Summer Bookings Officer (email preferred) for the entire summer period. Doonas and pillows are supplied but no linen. Less than one week's notice shall have no guarantee of any refund - this will depend on a Committee decision in regard to the reason for the cancellation.